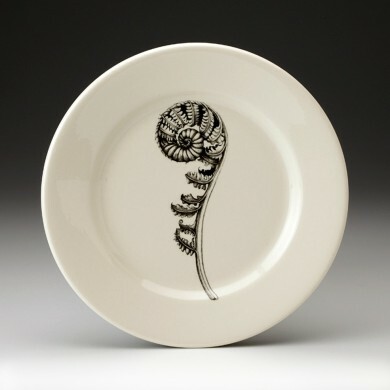 Laura Zindel is an artist and designer who combines her passion for ceramics and naturalist illustration into unique housewares and objets d’art. Her work integrates techniques from the Arts & Crafts movement with modern industrial design practices and decorative arts inspired by the natural world. The fern is a symbol of reverie, fascination, and secrets.